The best science writers can command words, imagery and cadence to match any award-winning novelist. That is not, however, why we read science books. We read them for what they have to tell us: the best science books are triumphs of substance over style, and Ocean of Life is one of them. Callum Roberts starts with something that could hardly be more substantial: the 70% of the planet that most of us know almost nothing about, even though it is the planet's defining feature, and the birthplace and nursery for all known life. Roberts is a marine biologist and an occasional columnist for the Guardian. His command of research is prodigious, and his generosity with example is prodigal. He is good on the big picture, but he understands even better how to burnish an argument with gleaming detail. For every hour spent fishing today, in boats bristling with the latest electronics, fishers land just 6% of what they did 120 years ago; landings per unit of fishing power are down 16 times for plaice, over 100 times for haddock, 500 times for halibut. In 1870 a Massachusetts newspaper reported that predator bluefish drove the local menhaden ashore and upriver so thickly "that one could take a common fork and pitch them into the boat". In 1785, a Loch Fyne fisherman told a visiting MP that it was not unusual to catch 350 turbot, sole and "large, fine flounders" on just one long line of 400 hooks. Of course, the catastrophe of overfishing is compounded by climate change, sea level rise and ocean acidification. On the Antarctic Peninsula, Adélie penguins that once nested in snow now huddle ankle deep in mud, downy feathers adapted for snow are soaked in sleet and drizzle, and chicks die. Adélie populations on the Peninsula are down 90% in 30 years. In the last 25 years, the North Sea has warmed 1.25C. Of 36 species surveyed in the North Sea, 15 have moved northwards by an average of 300km. The alternative, since water cools with depth, is to dive a little. 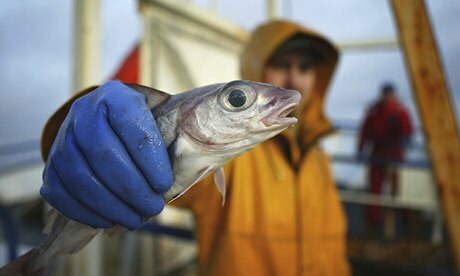 At the present rate of warming, fish would have to submerge 3.5 metres every year. But light falters with depth, so herbivores can only survive in the zone of photosynthesis. Sea levels are rising: in the first seven years after its opening in 1984 the Thames Barrier was shut four times; now it closes between five and 10 times a year. The Mississippi delta loses 50 square kilometres of land a year through a combination of subsidence and sea level rise. Naturally occurring "champagne seas" off Ischia are home to molluscs with paper-thin shells "so weak they can be crushed between thumb and finger". But humans are altering the chemistry of the oceans on a global scale. When in 1998 Joanie Kleypas, a US expert in coral reefs, first realised that by the 21st century corals would be bathed in water corrosive enough to destroy them, she found the discovery so overwhelming that she excused herself and ran to the bathroom to be sick. Roberts is alive to the small things. Pteropods grow in polar seas to densities of 10,000 per cubic metre "within shell castles sculpted from transparent crystal whose cold beauty seems perfectly fitted to icy seas". They are a keystone species in the food web: within 50 years they could be off the menu because of acidification. All the viruses in the ocean – four billion to a litre of clear seawater – if stretched end to end in a thread a 200th of the thickness of the finest spider gossamer, would stretch for 200 million light years "so far across the universe it would pass by 60 galaxies". Roberts has a way of bringing marine disaster closer to home. The long summer vacation of British parliamentarians is not a reward for their legislative labours but a consequence of the Great Stink of 1858, in which a Thames choked with sewage and refuse became so vile that parliament's windows were hung with sheets soaked with bleach. Summer sittings were subsequently abandoned. Cycles of nutrient overload and plankton bloom are now exported downriver to the sea, where oxygen levels plummet and everything that cannot move simply dies and rots. Off the Mississippi delta, the dead zone at its peak now extends across 20,000 square kilometres of sea. There are winners – there are always winners – and one beneficiary of the combination of nutrient enrichment, low oxygen and overfishing are the jellyfish; polyps that are 95% water, "blobs of seawater wrapped in a transparent glaze", some of them toxic to the touch. In 2004, in Monaco alone "an estimated 45,000 swimmers were treated for stings". He is good on the horrors of oil spills but he points out that the Gulf of Mexico's fishing fleets kill more marine life in a day than BP's notorious Deepwater Horizon disaster did in months. Oil companies are easy to demonise but the biggest source of oil pollution is either run off from land or directly injected by the two stroke engine of the recreational boat: the floating fuel and oils concentrate on the surface, poisoning the eggs and hungry larvae of hundreds of species. There the oils join the polychlorinated biphenyls from plasticisers and fire retardants and other persistent organic pollutants that concentrate in the ocean's meniscus. This is a surface layer "not much thicker than a piece of kitchen clingfilm" that is rich in fats, fatty acids, proteins, floating eggs and millions of microorganisms, a region critical to life in the sea. 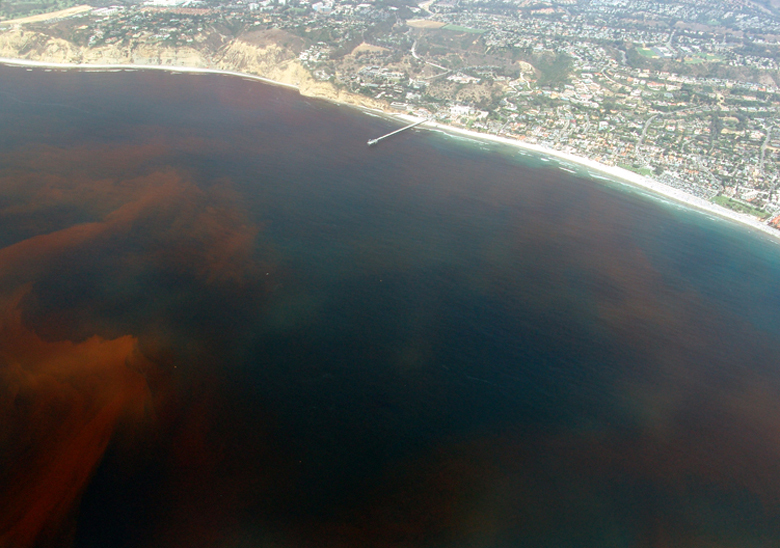 So the pollutants find their way into the fat and breast milk of the ocean's top predators. 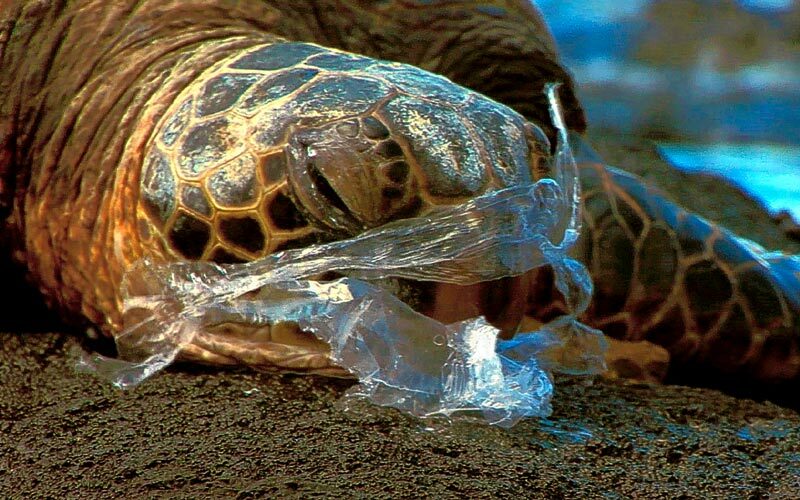 By weight, a third of all human waste is plastic: an enduring polymer that also ends up in the ocean gyres, on beaches and shores and reefs even in the remotest regions, and of course in the stomachs of albatrosses, turtles, sharks and even whales. "A dead pygmy sperm whale stranded in Texas had a plastic rubbish bin liner, a bread wrapper, a crisp packet and two other pieces of plastic sheeting choking off its stomach." A dead albatross chick in the Pacific contained a piece of plastic with a serial number – "it was traced to a US bomber that had crashed into the sea in 1944". And don't even get him started on the so-called silent world, a world in fact blasted by the roar of supertanker engines, of military sonar and seismic explosions, a world in which any noise travels at five times its speed in air.